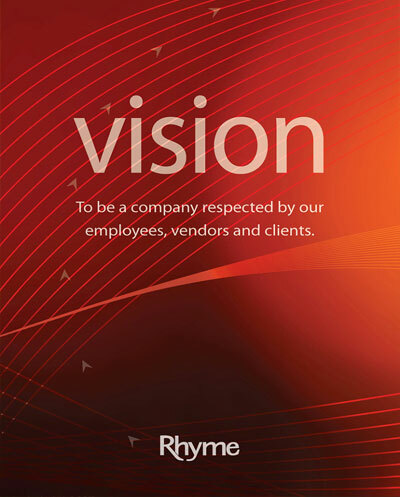 Thank you for your interest in a career at Rhyme! Please fill out the following form as complete as possible. Items with an asterisk indicated a required field. 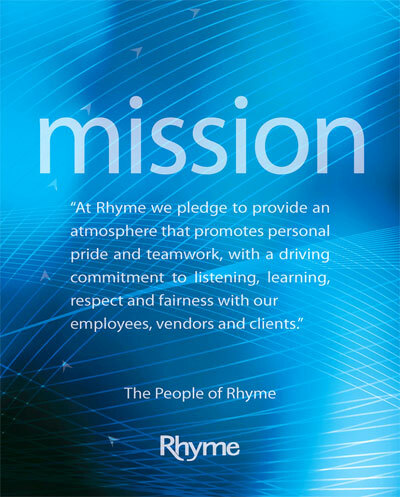 *How did you hear about Rhyme? *Were you referred by a current employee? I certify that all information contained in this application is true and correct to the best of my knowledge and belief. I understand that misrepresentations or omissions of any kind may result in denial of employment or be cause for subsequent dismissal if I am hired. I authorize the company to investigate my responses on this application and contact any or all of my former employers or any individuals familiar with my employment or educational background for the purpose of verifying any information I have provided and/or for the purpose of obtaining any information about my employment or education. I voluntarily and knowingly fully release and hold harmless any person or organization that provides information pertaining to me, my employment, or my education. I understand that upon receiving an offer of employment, an investigation of my criminal background will be required. I also understand that an investigation of my DMV record as well as a drug screening may be required upon receiving an offer of employment. Regardless of whether or not I become employed by the company, I recognize this application is not and should not be considered a contract of employment. 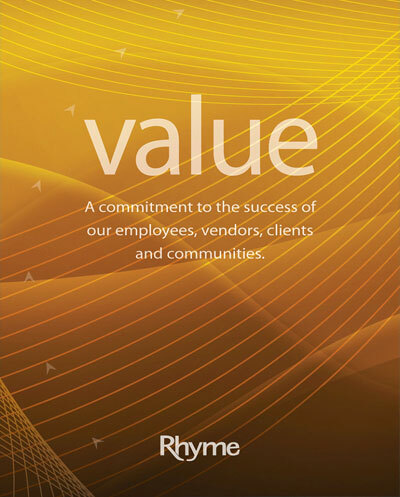 I understand that employment at the company is on an at-will basis and that my employment may be terminated with or without cause, and without notice, at any time, at my option or the company's, unless specifically provided otherwise in a written employment contract. I further understand that no company employee or representative has the authority to enter into a contract regarding duration or terms and conditions of employment other than an officer or official of the company, and then only by means of a signed, written document.